Nurse practitioners’ expanding liability comes with an expanding role. New York became the 18th state to no longer require experienced nurse practitioners to have a written practice service agreement with a physician. Experienced nurse practitioners (who have more than 3,600 hours of practice) are even more independent. In this edition of ​Iyer’s Insights, ​ Pat share tips on analyzing nurse practitioners’ expanding liability. Get an additional 25% Off this product by using the code Listened in the promo box at checkout! Pat Iyer has been working with medical malpractice cases involving medical errors since 1987. She is one of the editors of Nursing Malpractice, Fourth Edition. 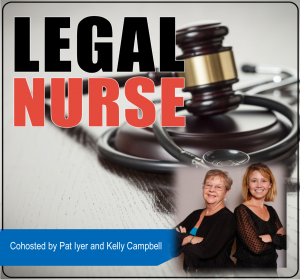 She has supplied many expert witnesses for evaluating nurse practitioners’ expanding liability.